Thailand is strategically situated in Southeast Asia, bordered by Cambodia to the southeast, Laos to the north and northeast, Myanmar to the north and west, and Malaysia to the south. It has extensive coastlines, along the Andaman Sea to the west and the Gulf of Thailand to the east. Thailand covers an area of approximately 515,000 square kilometers and consists of four geographic regions. The north is mountainous and forested; the northeast is semi-arid with poor soil; the central region is a vast alluvial plain; and the southern region is comprised of a narrow tropical peninsula that is rich in minerals. The climate is generally hot and humid, but varies from semi-tropical in the north to tropical in the south. There are three seasons: hot from March to May, wet from June to October, and dry and relatively cool from November to February. 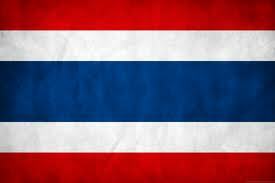 Thailand’s population is 65.9 million. The predominant ethnic group is Thai, with minorities of Chinese, Laotians, Cambodians, Malays, and various indigenous hill-tribes.